This complex of Roman villas features on the of the most famous examples of Roman mosaic art, the Roman mosaic in Nennig. The Romans are still very much present in the Saarland nowadays. In the Roman Villa Nennig you can be part of something very special and see a multimedia show about the original Roman villa complex and the Roman mosaic in Nennig. The Roman mosaic in Nennig is one of the most beautiful and largest examples of Roman mosaic art of the 2nd and 3rd century. 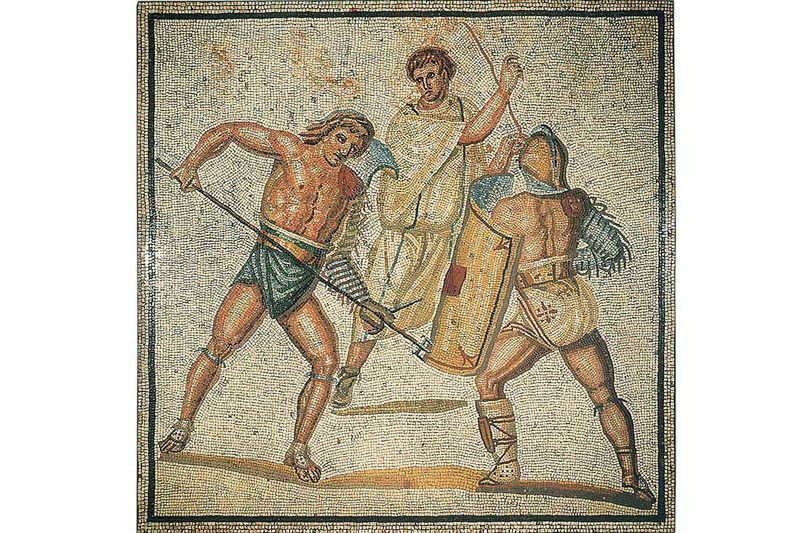 North of the Alps, this mosaic is one of the very few that remained at their original site. A local farmer discovered it in 1852 by accident. The mosaic originally formed the centre of a Roman grand villa. Seven picture fields display scenes from an amphitheatre, a colourful, yet gruel scenario. This multimedia representation provides detailed information about the history and interpretation of the Roman villa complex and the mosaic floor including a three-dimensional reconstruction of the estate.